Last month I got the pleasure to meet Dr. Ben Brown, a fellow Mondial owner at the Delta Dash. 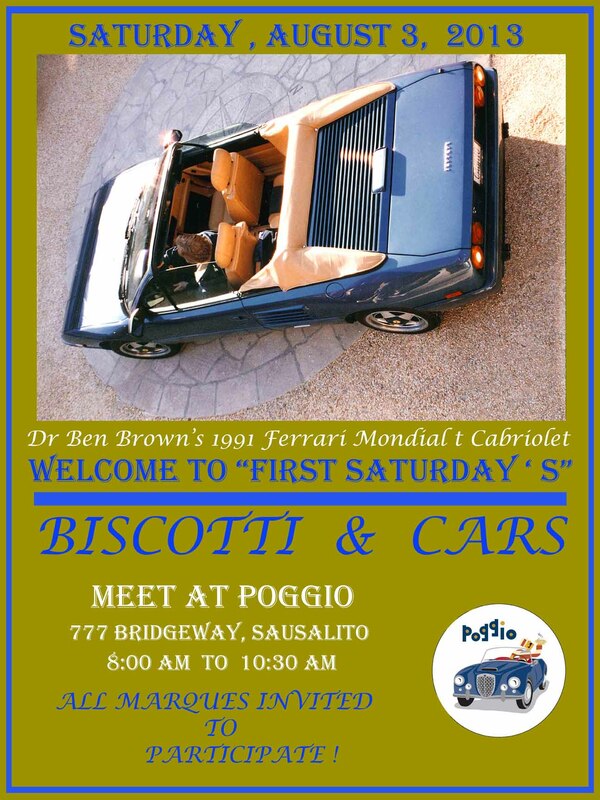 He runs the monthly Biscotti and Cars even in Sausalito. He was kind enough to volunteer to contribute to the site with his experiences on the Mondial. I hope you enjoy his write-up as much as I did. Bosch electrics and knee bolsters on the dash which limited me to cars from 1990 or later. 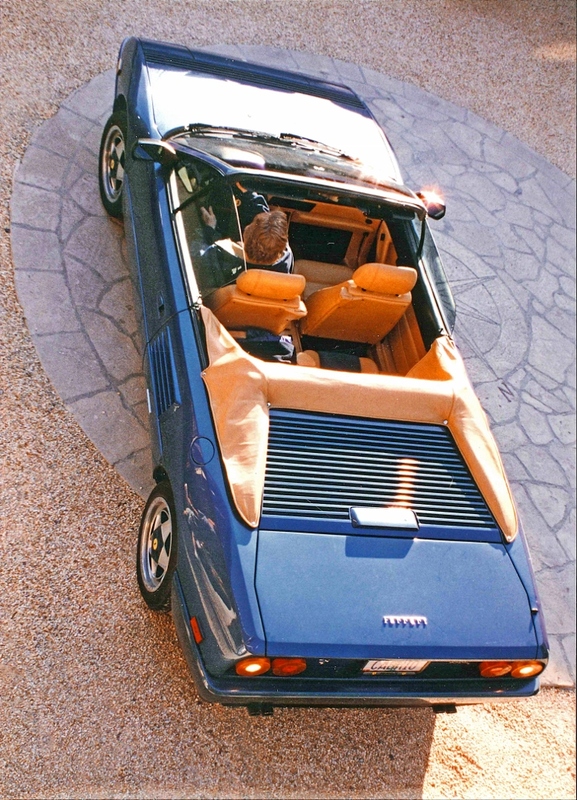 When I first saw the Mondial t in the showroom, I was struck by the elegant color combination of Chiaro Blu Metallizzato and Tan Interior. The car had 12000 prior miles and underwent a pre-purchase inspection at Shelton Motorsports which it passed with flying colors and was mailed to me before I agreed to fly to Florida for a test drive. 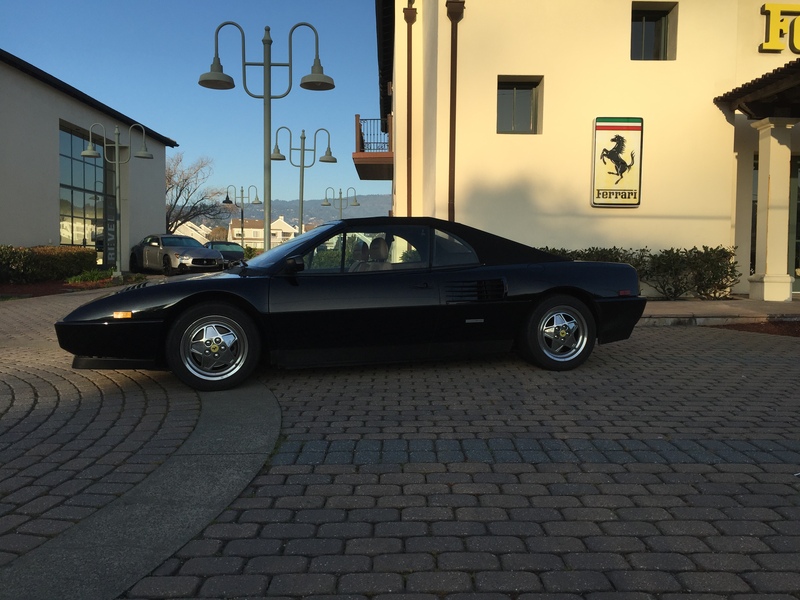 The car drove flawlessly so I purchased it and had it shipped to my residence in Portland Oregon by Horseless Carriage in time for a Christmas 1994 arrival. to increase attachment points from 6 to 20 points. 11. Clutch throw out bearing by Hill Engineering. Delta Das events. 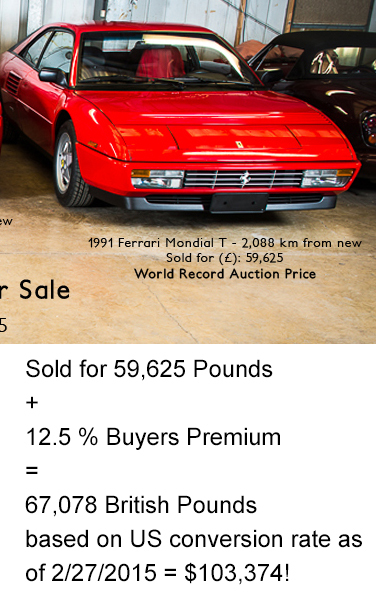 As of February 2015, my Mondial t has car has completed 74000 miles, The Mondial was also shown in display class at the 2014 Concorso Italiano in 2014, the 2014 Sausalito Classic Car Show and the 2013 Biscotti and Cars event in Sausalito. 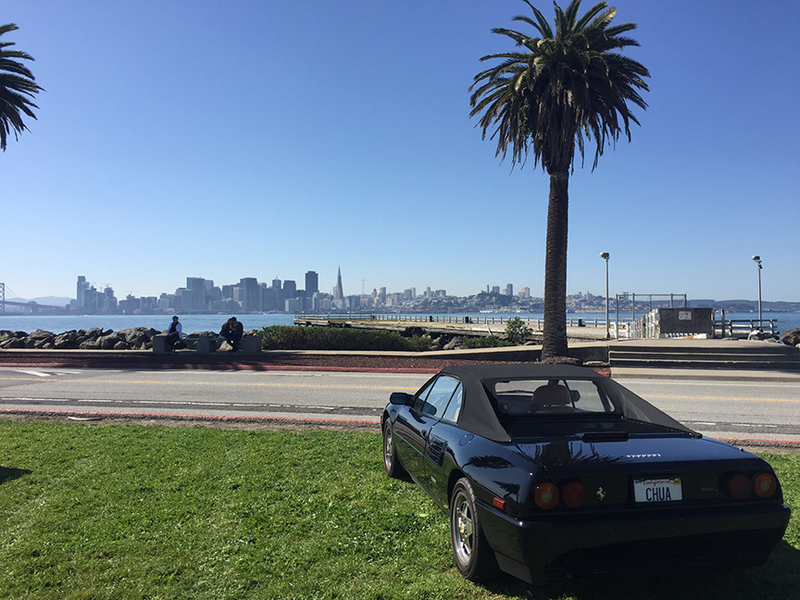 Our Mondial remains our favorite long distance travel car, even though we also enjoy driving our 1987 Porsche Targa, 1970 Mercedes 280 SE 3.5 Coupe, 2003 Audi RS6, 2008 BMW 335i coupe and 2002 Subaru WRX. of driver and passenger without messing up anyone’s hair. 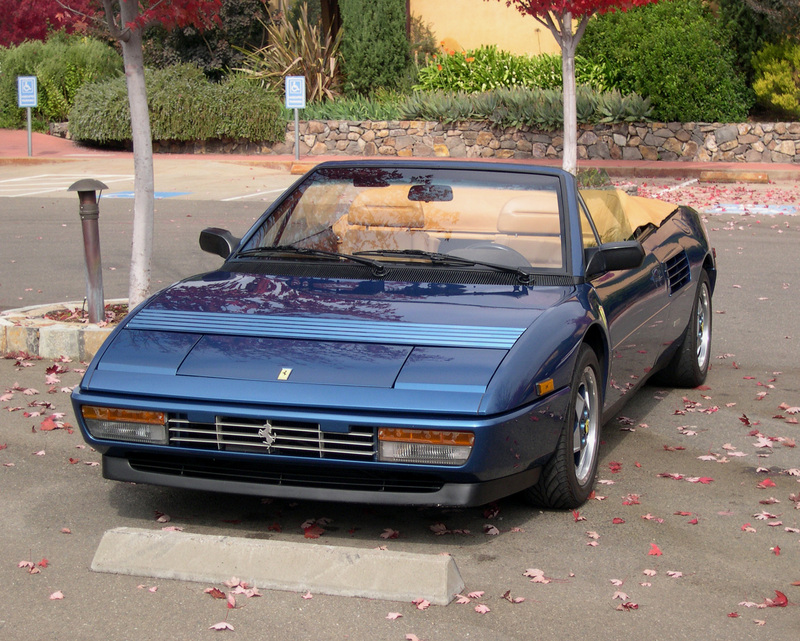 I am always glad my pre-purchase investigation led me to pass up two other Ferraris which I was considering (a 512 BBi and a 330GTC) in favor of the Mondial t cab. 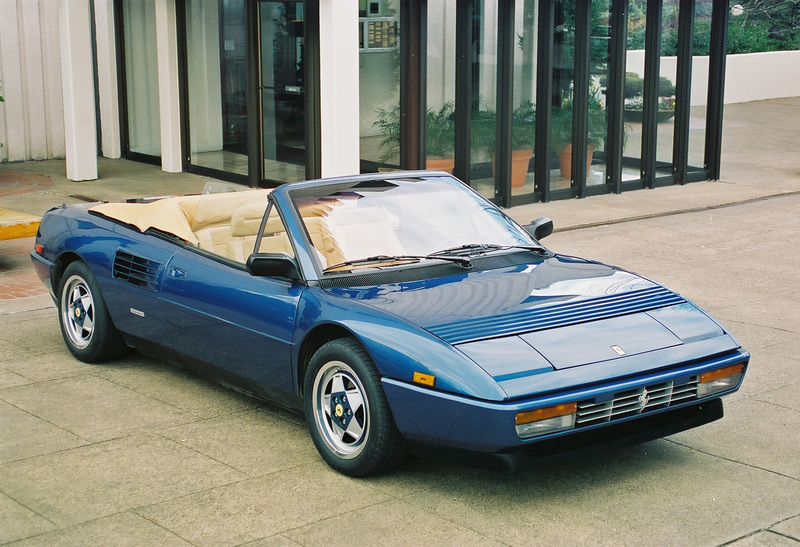 The choice of the Mondial t cab made it possible to take 62000 miles of spirited, Ferrari driving trips in the open air with plenty of luggage. over the past 20 years. 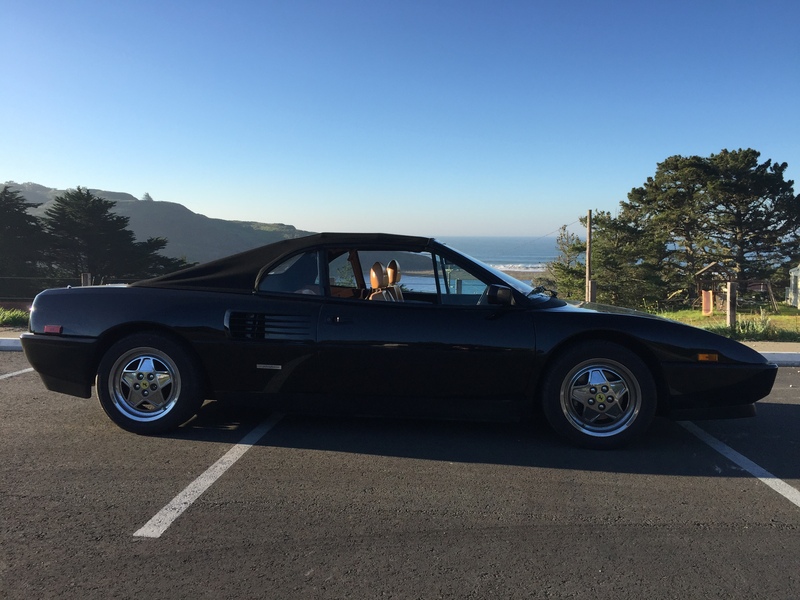 I was not looking to make a fast buck on appreciation but was looking for a car which would get driven a lot. of AC hoses with better-than-original fittings. The AC works very well with R134A at $3/lb compared to $90/lb for the old R12. 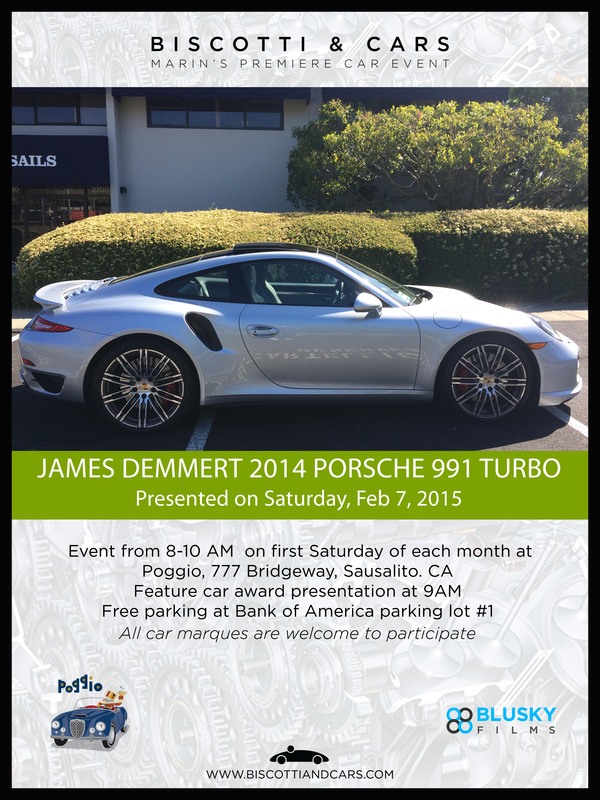 Obtaining a great mechanic (John Heim) at SF Motorsports in San Rafael was a very lucky find indeed. The most important is driving very slowly over speed bumps which can scrape the underside between the front and rear wheels due to the long wheelbase. 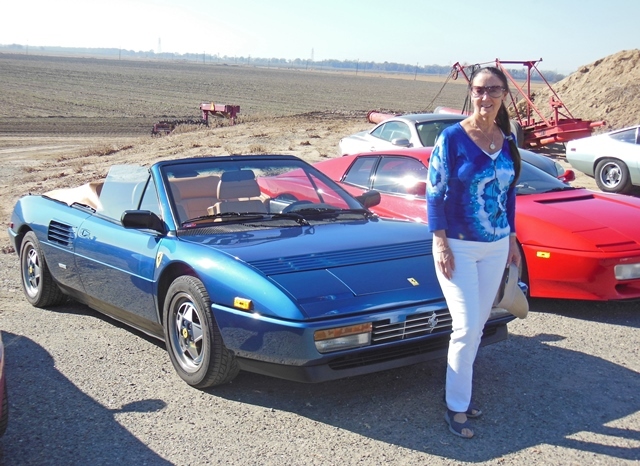 On a recent Wine Country Wine club tour, my Mondial was outrun by a Citroen 2CV on each of the many very bumpy, potholed laced,, unrepaired Sonoma country roads. The 2CV was designed with a high road clearance for awful French country roads. 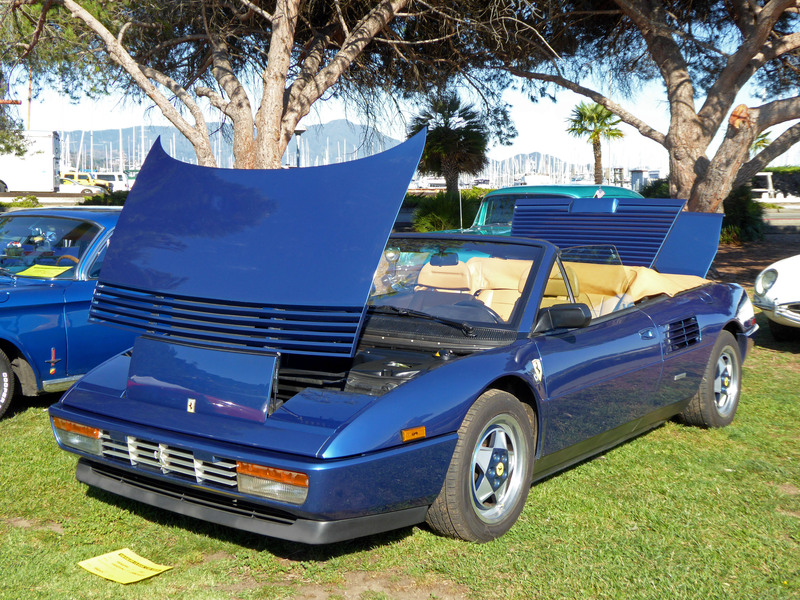 The Mondial was definitely not. I did manage to catch up whenever the roads improved. ON a twisty road, with a good surface, however, my Mondial t has managed to maintain the pace of at least one 458 behind me on one high speed driving event. 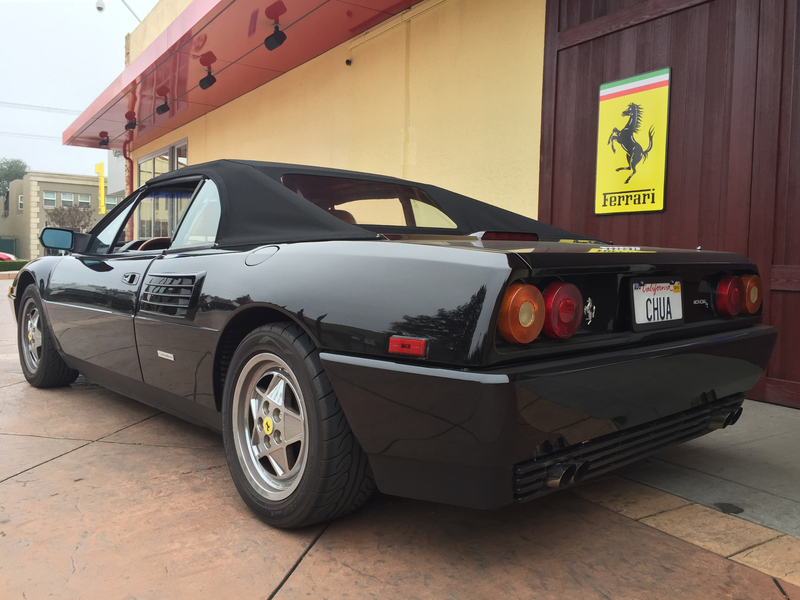 with Bosch Motronic 2.7 ECU (after 1990) producing 300bhp at 7000rpm. A five-speed manual transmission is standard, which is well suited to the strong mid range torque of the 3.4 engine. Disk brakes are ABS assisted. Suspension is manually adjustable by a console swiitch with soft, regular or hard settings. Test performance figures include top speed = 159 mph, 0 -60 time = 6.2 sec, highway mileage = 24 mpg. The t model has front and rear trunks. 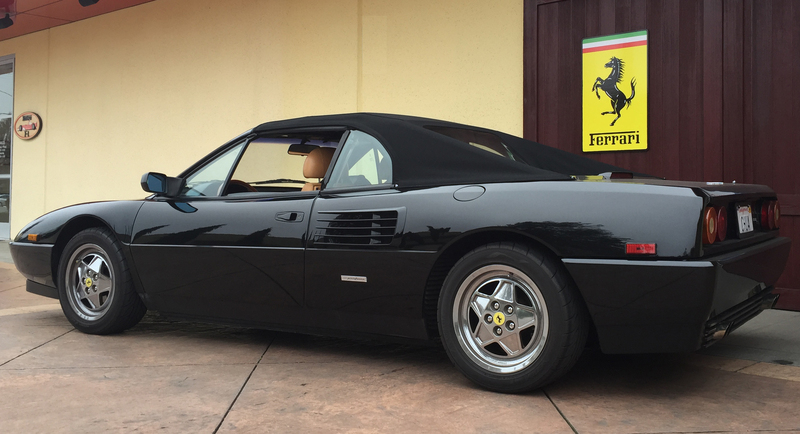 with a long-wheelbase, mid-engine configuration. Wheels are aluminum alloy:F: 7×16″.and R 8.5×16″. Empty curb weight is 3452 lbs. 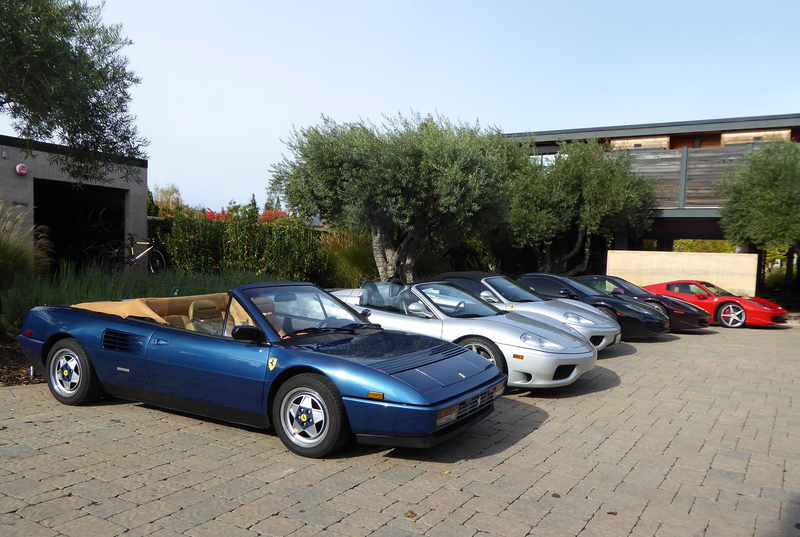 Italiano and the FCA National Meet in Monterey this year. 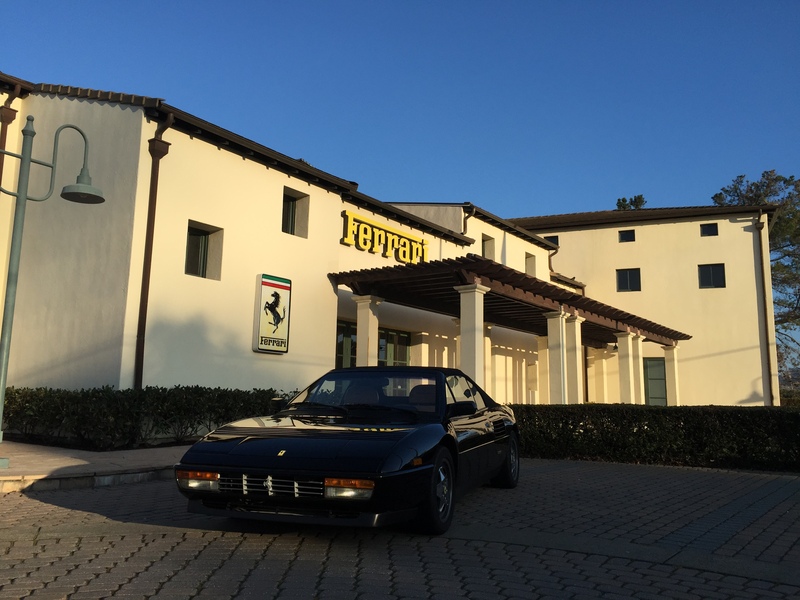 Forza Ferrari.